Today, the picture of the world can look pretty grim. Clearly things are seriously wrong on just about every front. And when people are stuck spending all their time just surviving, and getting blasted with a bleak picture of humanity and the environment, it is harder to access our innovative, resilient, problem-solving brilliance. But even so, the truth is that for every problem, there are people working to create truly impactful solutions. This week we want to highlight some folks who have inspired us and whose work helps to remind everyone that human innovation and resilience can triumph in the face of huge challenges. Paul Stamets — Can Mushrooms Help Save the World? 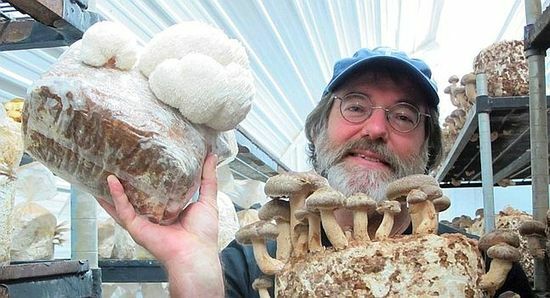 Paul Stamets is an environmentalist’s dream: A mycologist for over 40 years, Paul has discovered that solutions don’t all need to be invented, some are already here in our midst. Take fungi, called mycelium, for example. Paul describes mycelium as the Earth’s Internet system, an interconnected web of fungi that when tapped into, can actually heal itself, much like the human body when it is injured. Tune in for more of Paul’s discoveries: 6 Ways Mushrooms Can Save the World. Find more information about Paul and his important and empowering work. When Ron Finley saw a problem with limited access to fresh food in his community he also saw a solution in the form of empty lots. 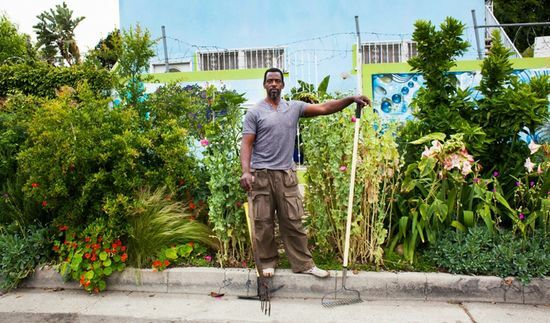 Ron views urban communities as opportunities, not forgotten wastelands, infusing them with life and hope in the form of edible gardens. Bringing fresh food to low-income urban neighborhoods might not sound all that revolutionary, but to the individuals who had been surviving on cheap, fast, and processed food it has been absolutely life changing. As the people get healthier and feel the power of self-determination, they, and their neighborhoods are beginning to transform in more ways than one. For more information on Ron Finley and his work visit his website. We have realized in our Thrive Solutions Hub network that virtually every problem we are facing represents a breakdown in the wholeness of natural systems. The solutions involve recognizing, honoring and restoring that wholeness. The opportunities for effective action are endless. Please share with us other local heroes who have inspired you.